Dining For Dollars: Supporting The Arts Never Tasted Better! ENJOY A NIGHT FULL OF THEATRE & DINING, ALL FOR A GREAT CAUSE! PIER 22 and the Manatee Performing Arts Center are teaming up for our Dining for Dollars event! Visit PIER 22 the day of or day after a show at the Manatee Performing Arts Center, and ten percent from the cost of your meal will be donated directly to the Manatee Performing Arts Center. You must show proof of a Manatee Performing Arts Center ticket purchase to your server for the donation to process (a ticket stub or receipt works just fine). Donations will go to helping with those costs associated with the organization’s enriching entertainment and learning programs along with facility upkeep and daily operations. The Manatee Performing Arts Center is an award-winning state of the art facility offering a full season of productions, events, concerts, comedy and more. Its mission is to represent, enrich and stimulate people through the art of live theatre by providing entertainment, education and an artistic outlet. 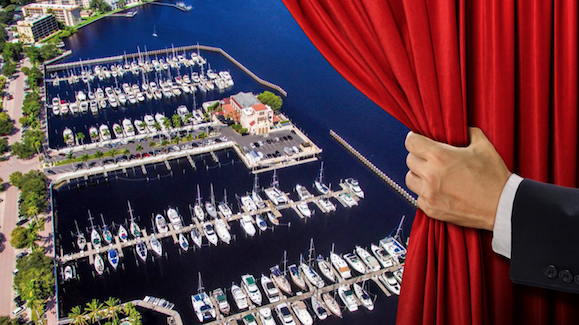 The Manatee Players and its performance venue serve as a significant cultural, educational and economic resource for the Florida Gulf Coast region.